AuthorMitaliPerkins: OPEN MIC: RIFFS ON LIFE BETWEEN CULTURES IN TEN VOICES Now in Paperback! 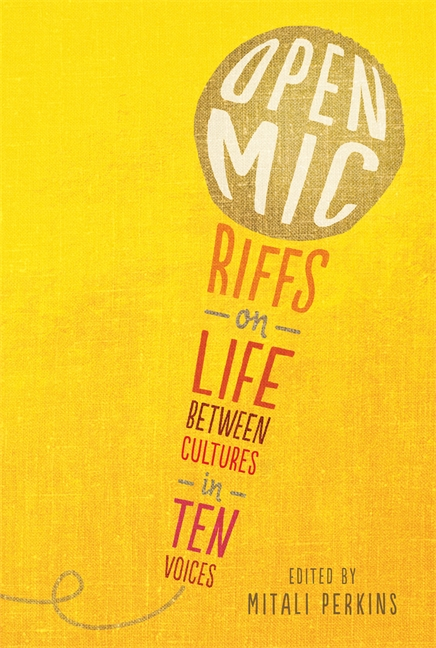 OPEN MIC: RIFFS ON LIFE BETWEEN CULTURES IN TEN VOICES Now in Paperback! I'm excited to announce that Candlewick Press has just released the paperback version of OPEN MIC: RIFFS ON LIFE BETWEEN CULTURES IN TEN VOICES! 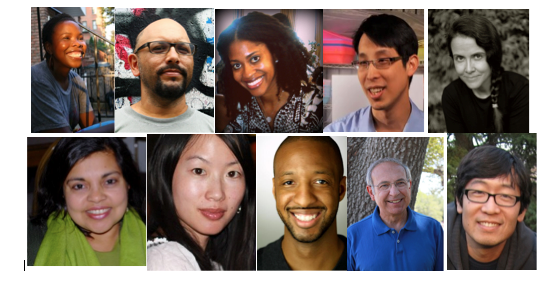 Listen in as ten YA authors—some familiar, some new—use their own brand of humor to share their stories about growing up between cultures. This collection of fiction and nonfiction embraces a mix of styles as diverse as their authors, from laugh-out-loud funny to wry, ironic, or poignant, in prose, poetry, and comic form. With contributions by Cherry Cheva, Varian Johnson, Naomi Shihab Nye, Mitali Perkins, Olugbemisola Rhuday-Perkovich, Debby Rigaud, Francisco X. Stork, Gene Luen Yang, and David Yoo. "Open Mic: Riffs On Life Between Cultures in Ten Voices" by Mitali Perkins, created by Ali, a student at The Bubbler.